There are many similarities between the tea and wine industries. Terroir, processing, local expertise, and a keen palate are just a few variables. I recently started corresponding with Joe Muscaglione, a well known wine sommelier that decided to jump into the world of tea. He has helped to set up tea programs in restaurants in Las Vegas, and also currently sells tea online at Cha Gardens. I was fascinated by the overlap in industries, so I knew we had to do an interview. Learn a little bit about the similarities between tea and wine, and the unique tea from the Daba mountain below. When did you discover your passion of tea? Is there a particular tea that first grabbed your attention? Passion is embedded in my DNA. I am very passionate about everything, especially fine things. About 10 years ago at a party with the late great Chef Charlie Trotter, we tasted an 18 year old puerh and I was like ho.ly. crap! Very complex, changing every few minutes in the cup. Reminded me of an old barolo or burgundy. The aromas, leather, dates, game and smoked meats - it smelled like Mamma Corleone was cooking for the Godfather. I was like, I'm in! There are many similarities between wine and tea. How does your training as a wine sommelier help in working with tea? Why did you decide to jump into selling tea, and why specifically tea from the Daba mountain area? In a business sense, I saw a wide open opportunity. Almost everyone else is selling the same exact teas. A few cents more, a few cents less, but basically the same exact tea. When I was tasked to create the tea program at the Lucky Dragon in Las Vegas, I was asked to find the best tea possible. I don't like the words "the best" because the best is whatever someone likes. I use the word purest. I have lots of contact in China and asked some great contacts to lead me to the purest tea in China, and they did. Ironically, I had met the tea company's daughter years ago. Very small world. Daba mountain is considered one of the purest places in Asia. The Daba mountain has a long history. The Ba people were there even before the Qin Dynasty, in which the word China comes from and the word Qinba too. To make another wine/tea comparison - prior to circa 1982, most wines from Italy available in the USA were from Piemonte and Toscana. When wines from Calabria, Sicily, Sardegna or Basilicata first arrived, very few people knew that their history was much older than the history of Piemonte and Tuscan wines. 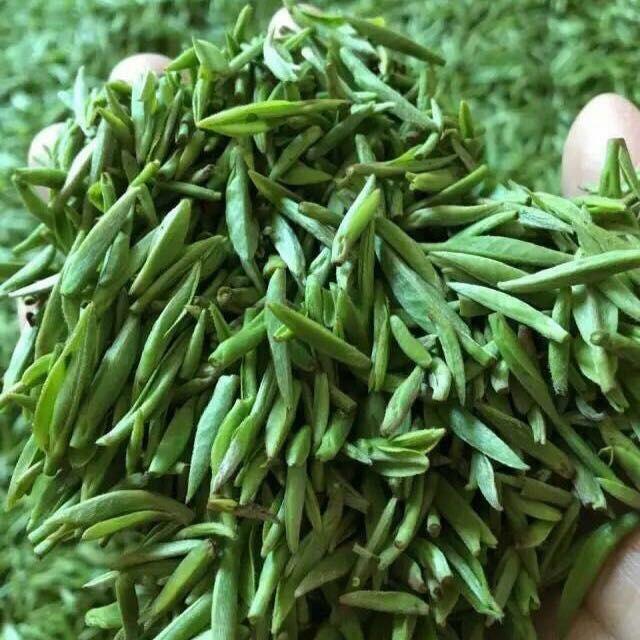 In the same way Daba mountain has a much longer history than let's say tea from Fujian. As a sommelier you are well versed in pairing wines with food. Do you have any tips on pairing tea with food? The best tip I can give is to realize that tea and food pairing is virtually non existent in China, so here in the west we have a clean slate. Free range to experiment and pioneer tea and food pairings. As long as we follow some basic rules- don't pair black tea with spicy food. Pair white and green tea with lighter food, Puerh with oily foods, and we are good. The tea program you helped set up at the Lucky Dragon in Las Vegas is a fairly unique experience for the tourists coming to visit. Why did you decide to offer a gongfu style service, and how have the patrons reacted? Offering gong fu style service at Lucky Dragon was not my idea. I was hired to create a beverage program mainly because I had previously created the Tea program at Niu Gu almost a year prior. Niu Gu was the first restaurant to offer gong fu style service in a restaurant environment in Las Vegas...People are very eager to try tea and learn about tea. Las Vegas is playing a key role nationally in this movement. Were there any unique challenges moving from the wine industry to tea? If you could be anywhere, sipping on any type of tea, where would you be, and what would you be drinking? Right this moment? in the hills of Mezzojuso, Sicily, under an olive tree, banging out a couple tunes on my scacciapensieri (and old sicilian musical instrument) drinking Qinba Wu Hao! Thank you Joe for taking the time out from your busy schedule to share your thoughts with us! 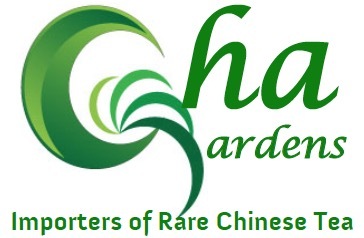 To learn more about Cha Gardens, you can visit their website.